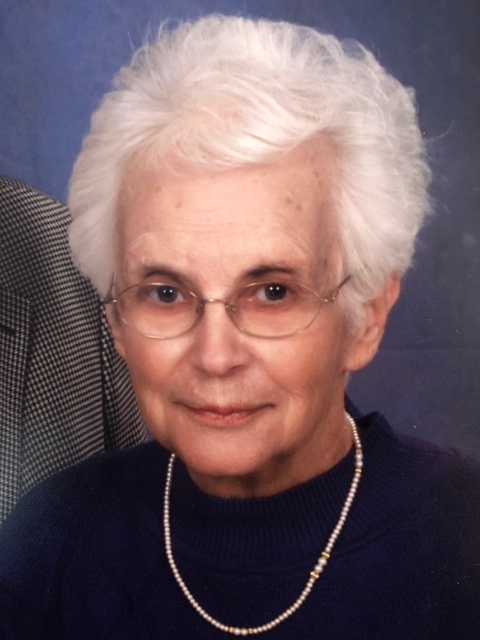 Gail Miller Yoder Neville died peacefully in her home of 47 years in Buies Creek, NC on February 8, 2019. Born July 23, 1932 as the only child of Ira Yost Miller and Elizabeth Kaufmann Miller in Middlebury, Indiana, Gail’s father was a school teacher and inspired Gail to follow him in a life-long calling to education. The family lived on a small farm where her parents grew mint and raised turkeys. Gail graduated in 1950 as valedictorian of her Middlebury High School class and attended classes at Goshen College during the Spring Semester of her Senior year. That summer, she traveled to Europe and worked with the Mennonite Voluntary Service in flood-damaged areas in Southern Holland. In the summer of 1951, Gail worked on another MVS project for low income families in Louisiana. At Goshen College, Gail was active in choir and athletics and played women’s basketball. In 1953, she was awarded Goshen’s first Bachelor of Science Degree in Physical Education along with a degree in English. In the Fall of 1953, Gail moved to Hesston, Kansas and became Hesston College’s first Girls’ Athletic Director, taught English, and coached girls’ basketball. It was at Hesston that Gail met Paul Marvin Yoder, choral director and Dean of Men. Gail served as a chaperone on choir tours and their romance blossomed in the Summer of 1955 when they traveled with a group from Hesston College for a service project in Mexico. Years later, Paul and Gail were able to fulfill a life-long dream and revisit the area where they had served together. Paul and Gail were married on August 5, 1956 in Middlebury and continued their work at Hesston. In 1958, their first son, Paul Marshall, was born in Newton, Kansas. Always bitten with the travel bug, Paul and Gail visited 17 states and Canada by the time Marshall was 17 weeks old. That same year, the family moved to Tallahassee, Florida where Paul pursued a Ph.D. in Music at Florida State University. Their second child, Maribeth Gail, was born in Tallahassee shortly before Paul finished his doctorate degree. In 1961, the family moved to Buies Creek, NC where Paul was appointed as Chairman of the Music Department at then Campbell College. Their third child, Douglas Montell, was born in 1963 followed by Melanie Kaye in 1966. While the children were young, Gail served as a loving mother and superb cook and spent many nights with the children while Paul toured with the Campbell choir. Family was always important to Paul and Gail and they took annual trips for several weeks each summer to return to Gail’s home in Indiana and Paul’s home in Kansas. In addition, Paul and Gail often invited foreign students into their home for meals with the family in order to expand their children’s perspectives. Gail loved to play marbles on the board her father had crafted and enjoyed many games of Rook with her family. Eventually, Gail returned to school and in 1970, was awarded a Master of Education Degree from the University of North Carolina at Chapel Hill. Thereafter she served as Coordinator for the Career Opportunities Program and adjunct faculty member at Campbell University and later worked as a reading specialist and Assistant Principal at Lillington Middle School. Gail also was Assistant Principal at South Harnett Elementary School until her retirement in 1994. Gail participated in multiple civic, church, and professional organizations and was particularly drawn to those focused on the arts. She was a Board member of the Harnett County Arts Council and the Cape Fear Friends of the Fine Arts. At Memorial Baptist Church, Gail served on the Personnel Committee, Stokes Daycare Board of Directors, Finance Committee, Seniors and Associates Committee, Mission Melodies, and Saints Alive Singers. Until recently, Gail sang in the church choir and enjoyed counting the offering each Monday following worship. Her penchant for financial issues was also reflected in being a founder and president of Creek Stock Yard, a stock club for women. She was a founding member of the Literary Forum Book Club and a member of her local Garden Club and until recently, played bridge monthly. Her professional affiliations included the North Carolina Educators Association and Delta Kappa Gamma. Regrettably, Paul died in 1992 from cancer and the couple was unable to realize their dreams of further travel. In 1996, Gail met the second great love of her life, Frank Everett Neville, a retired Baptist minister and hospice chaplain. Their romance blossomed on a group trip to Iceland. Frank’s wife, Lorraine, had also succumbed to cancer and even served as one of Paul’s nurses while he was ill with the disease. Gail and Frank were married in 1997 in a wedding that included their children and grandchildren. Frank and Gail made the most of their retirement years and travelled extensively in the United States and Europe. More importantly, they filled the role of doting grandparents to the fifteen grandchildren from combined families from their first marriages. Gail’s commitment to education never faltered and she assiduously encouraged (and planned) the education of both her children and grandchildren as well as others. Even in her waning days, Gail encouraged the continued education of her care providers and was heartened to know that some of them were furthering their educations in health care fields. During her last three and a half years, Gail survived broken hips on three occasions, a fractured back and several falls, fighting back after each one to continue to be a support to Frank, her children, and grandchildren. We remember Gail as a teacher, mentor, and above all else, a loving mother who sacrificed much for her children. Gail was preceded in death by her parents and her first husband, Paul. Gail is survived by her husband, Frank, and four children Marshall (Julieanne Doyle), Maribeth Yoder-White (Mark White), Monty (Nancy Williams), Melanie Joyner (Greg) and three step-children, Everett Neville (Rita), Thomas Neville (Crissy), and Kelly Bentley (Eric), and 15 grandchildren and 3 great-grandchildren. A celebration of life will be Saturday, March 2 at Memorial Baptist Church, Buies Creek, at 3 pm. In lieu of flowers, gifts in memory of Gail may be made to the Paul and Gail Yoder Music Scholarship at Campbell University or Memorial Baptist Church. For Music Scholarship gifts, mail checks payable to Campbell University with “Paul and Gail Yoder Music Scholarship” in the memo line to Campbell University, PO Box 125, Buies Creek, NC 27506. Please indicate if you would like an acknowledgement of your gift sent to the family. For Memorial Baptist Church gifts, mail checks to Memorial Baptist Church, PO Box 485, Buies Creek, NC 27506.